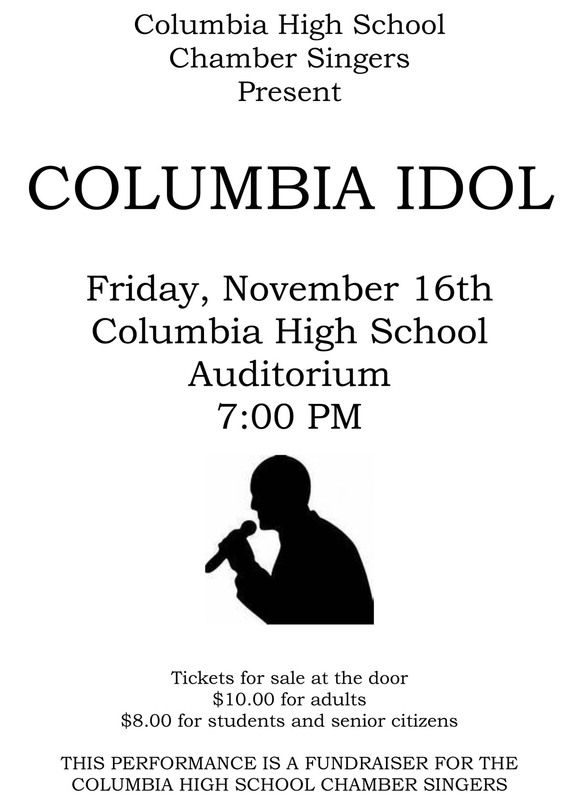 Ten Columbia High School students will put their singing to the test on Friday evening as they compete on Columbia Idol at 7:00 p.m. in the school auditorium. Each contestant will perform a song on stage for a panel of three judges. The top five singers will advance to the final round and perform again with the winner being chosen by an audience vote.